The Government of Nepal is going to introduce the embossed number plates for Motorbikes starting from this Falgun 2074 B.S. 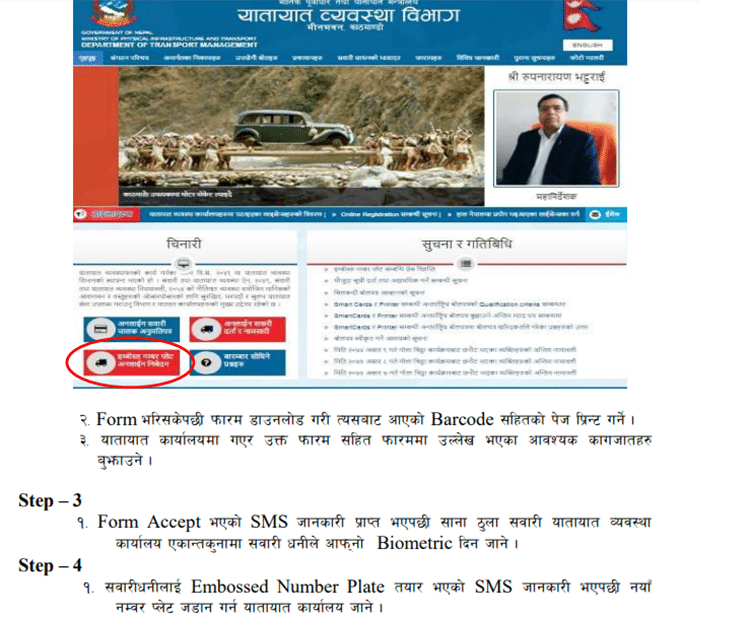 Earlier Nepal government has announced embossed number plates for only private vehicles. The Department of Transport Management is going to fix embossed number plates in order to make them technology friendly and to protect from being stolen. 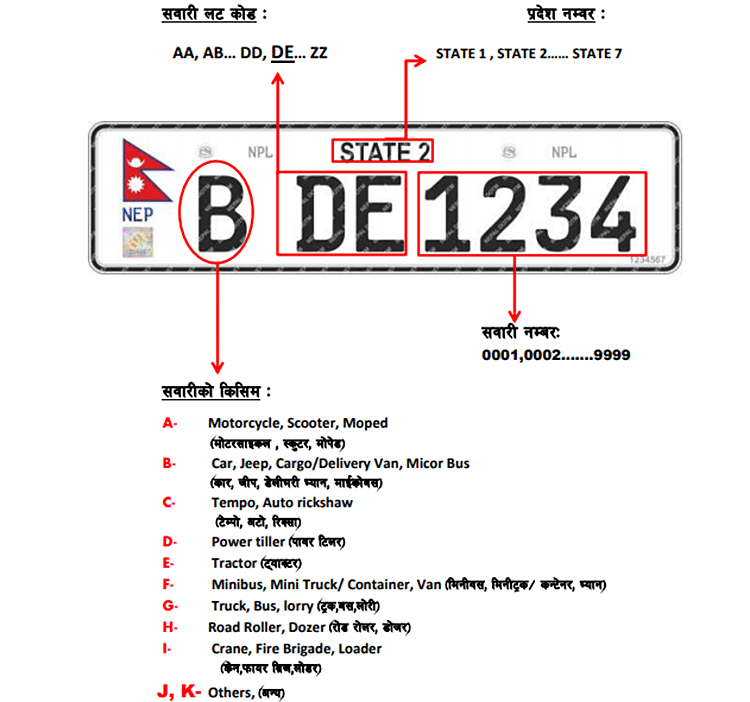 The department said that the embossed number plate system will be implemented from the Nepali new year 2075 B.S. and targets to fix on all the vehicles in the country over the next five years. The embossed number plates is based on high security computerized technology that would help to protect vehicles from being stolen and locate it in case of accidents too. It will have a chip connected with a GPS system of a vehicle. The locals can request for the embossed number plates from www.dotm.gov.np OR www.hsenp.dotm.gov.np . An individual requires to fill up a detailed online form and pay around Nrs. 2500/- to Department of Transport Management at Matatirtha, Kathmandu or the recommended bank. One important thing to keep in mind is that the tax of the vehicle should be clear till date to be applicable to request the number plate.And once the number plate is fixed on the vehicle, it cannot be detached. If it needs to be detached, it must be cut. Radio-frequency identification system also tracks the movement of vehicles. In case of theft, it can easily be found.